Veliko Gradište is located on the banks of the Danube, at the point where Pek River flows into the Djerdap gorge, 114 km from Belgrade. This port town is an ideal stopping point for ships heading from the Black Sea into Central Europe. 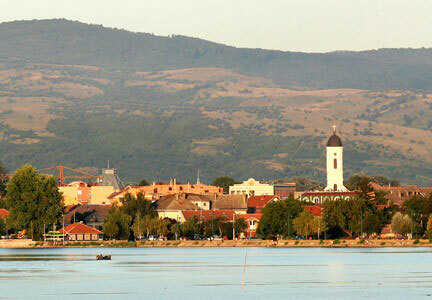 Owing to its strategic position on the Danube, Veliko Gradiste served as an important export station in the 19th century. Near the town are two interesting sites: ruins of the old town of Ram where you can take boat and visit the left bank of Danube and Silver Lake, an ideal place for recreation and leisure. Ram is a medieval fortress located one kilometer from the village of Ram and apprx 15 km from Veliko Gradiste. Bayezid II built Ram in 1483., following completion of the nearby town of Kulica. Today, the fortress is a symbol of Serbia’s rich culture and history. The Ram fortress and archeological site draw approximately 5.000 visitors per year. They come here to admire its architecture and to marvel at the view of Vojvodina at this spot on the Danube. Kruševac is a town in Rasina County in Central Serbia and it is administrative, economic, cultural, health and educational center of the County. It is located in the Kruševac valley, which includes composite Western Morava Valley and extends between areas of Levac and Temnic at the north, the Zupa, Kopaonik and Jastrebac mountains at the south and Kraljevo and Ibar valley at the west. Kruševac was constructed as a capital by Prince Lazar in 1371. First preserved mentioning is from 1387., when Prince Lazar by his charter, in the established capital of Kruševac, confirming earlier trade privileges to traders from Dubrovnik. 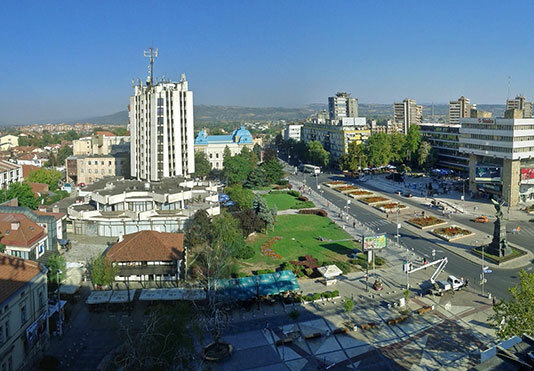 According to legend, Krusevac was named by the shore river stone called crushac,by which is a city largely built. After the Kosovo battle 1389., Kruševac became the capital of vassal Serbia run by Prince Lazar’s wife, Princess Milica, but later, their son Despot Stefan moved capital to Belgrade. Get in the heart of the city of Krusevac and enter the Museum and Lazarev fortress city or Church Lazarica. Visit to the Monastery of Ravanica, the endowment of Prince Lazar, a great Serbian warrior during the Kosovo battle.